I left a safe and permanent job. JF bought me a blue Honda Fit named Tobias. We dumped all our money into a rickety old house in Elmvale. And most remarkably, we survived the most hellish winter ever. What is totally absurd and wonderful is that friends, family and even a few randos from the internet (hi guys!) have read and cared about all of that stuff. Who knew I had even remotely interesting thoughts? I started this blog to keep my lovely Toronto friends updated on our adventures in the boonies. That’s still 90% of its reason for existing. But it’s also a weekly opportunity for me to zoom out, think macro about my life, and write about what’s taking up the most space in my head. Hitting publish is strangely therapeutic. I guess the whole point of this post to thank you – for reading, reacting to and sometimes even commenting on my stories. The adventure continues and, at least for now, I’ll continue writing about it in 200-word pieces. 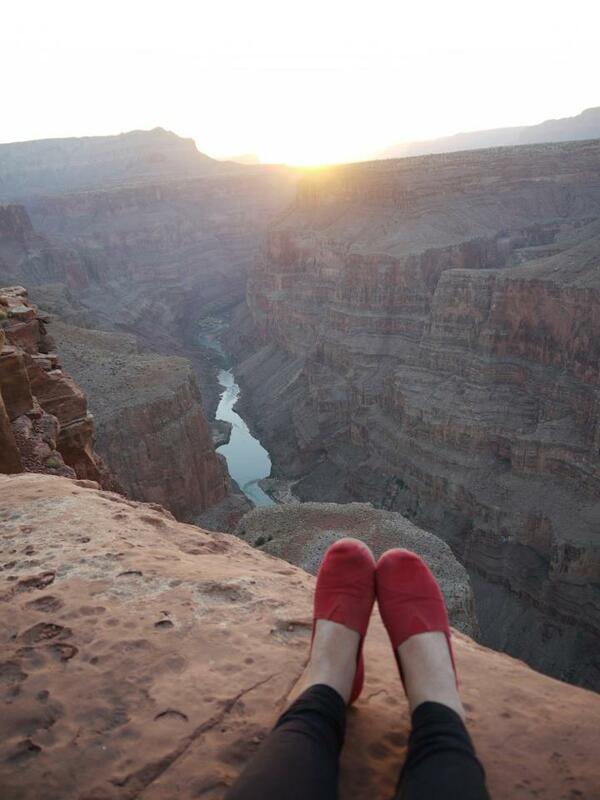 I feel strange publishing a post without a photo, so here’s one of my feet dangling on the edge of the Grand Canyon. This entry was posted in Personal growth and tagged Blog, Blogging, post, reader, thank you by Mikaela Lefaive. Bookmark the permalink.